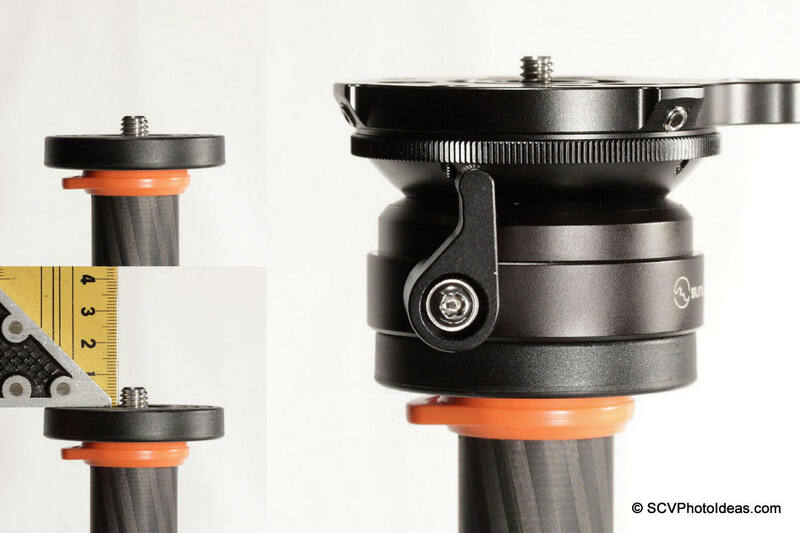 As I had commented in the Sunwayfoto DYH-66i Leveling Base Review ("Mounting on a Tripod" section) there was an issue with the depth of its bottom mounting hole which would generate problems and frustration to users if their tripod mounting stud exceeded 6mm in height. Owners of tripods with an adjustable (usually the reversible type) mounting stud would not face any problem, but there is always the case of those that their tripod stud is fixed or those that do not know or plainly do not want to adjust it. I was informed recently that Sunwayfoto engineers have increased the depth of the the DYH-66i and other Leveling Bases bottom mounting holes to 9.2 mm in latest batches, in order to address and rectify this issue. However, what about the users that already owned or would run across a DYH-66i leveling base coming from an older batch? In this respect, Sunwayfoto has thoughtfully introduced Hard Plastic Spacers which may be inserted under the base thus decrease the height of the protruding stud. Since, there is no room for compromises when mounting expensive equipment on your tripod, your leveling base should be tightened very well. In the adverse case your tripod stud is fixed, thus non adjustable, or for whatever reason you do not want to adjust it you can use one or more spacer disks instead. 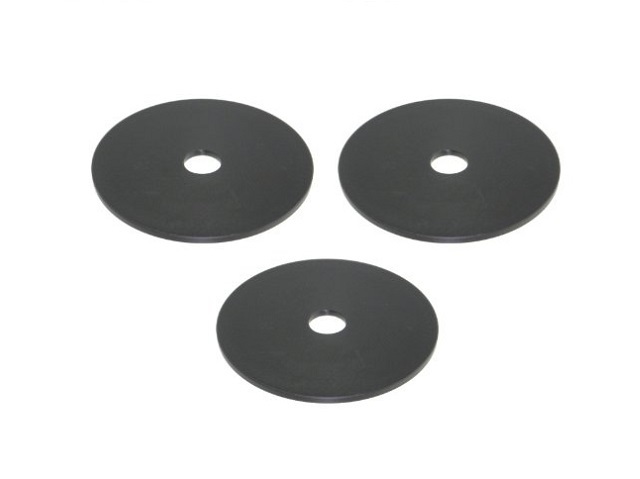 Nevertheless, as Sunwayfoto spacers are made from high impact plastic and feature a universal 3/8"-16 pass through hole in the center, they may find more uses for sure. 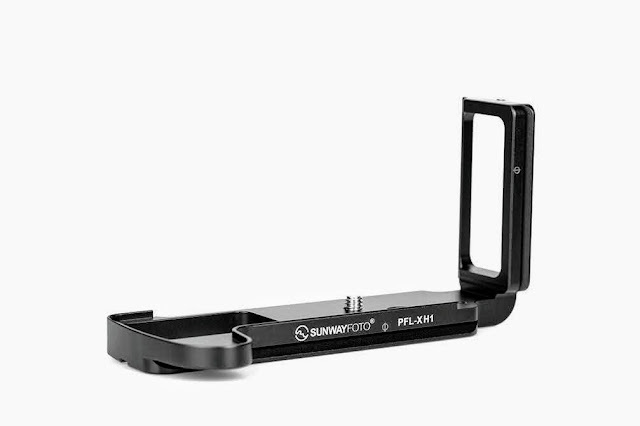 Current price for the Sunwayfoto Spacer 3 pack is US$ 4.97 and are available from Amazon. 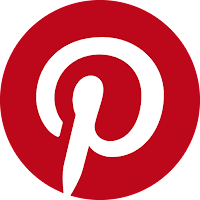 If you are interested in the above product(s) or any other product please consider using the relevant link(s) supplied herein to make your purchase and help support this site. Your support is needed and greatly appreciated.